Karen’s love of creativity and painting was ignited as a young child when she spent time with her grandfather, painting at his kitchen table. He was a very funny, creative man who, in his retirement turned his attention to painting. On leaving a professional (legal) career after a number of years, Karen began painting ceramics. This lead to her drawing practice and her love of sculpture. 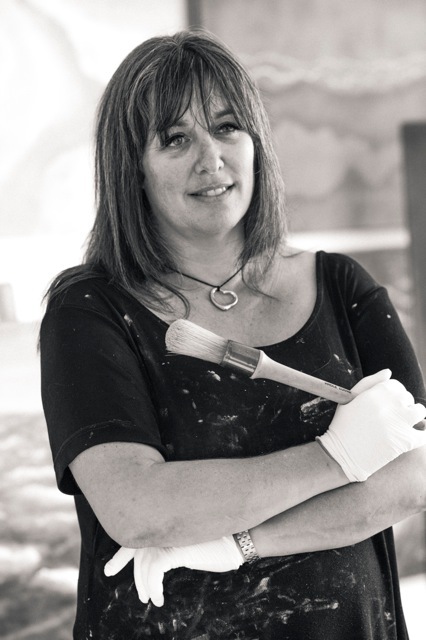 While her love of sculpture remains, Karen has found her true love to be painting in oils. Her affinity to sculpture reveals itself in the textural elements contained in her paintings. If you would like to contact Karen, to express your interest in her work, make a time for a viewing or discuss pricing, please send her an email using the contact form.